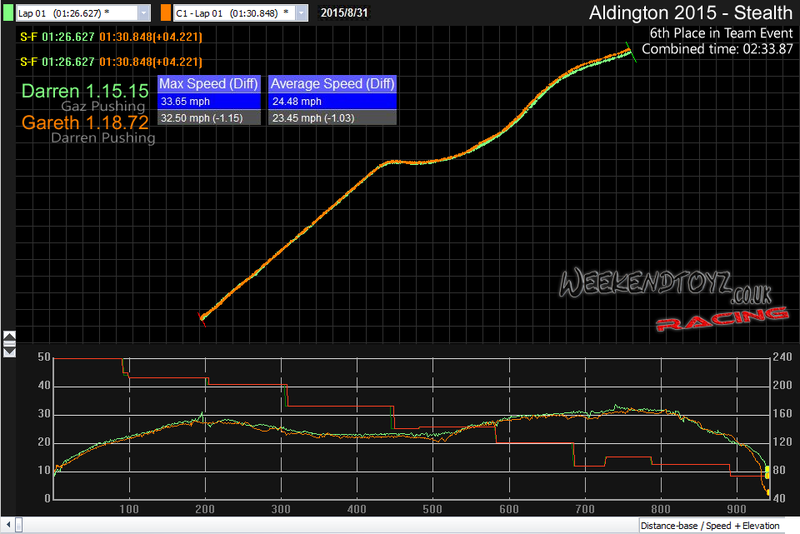 After some doubt finally the go ahead was given for Aldington. Already having a good entry with Stealth we decided to re-enter it again with no further modifications other than some rust treatment and removing some damaged decals. We advertised the chassis of Graviton in the hope that it would be built to race again. Asa purchased the chassis for a small sum, all of which went to the charity. He then set about fitting front and rear wheels, a steering assembly, some mirrors and a Karate Kid paint job, aptly renamed karate skid. 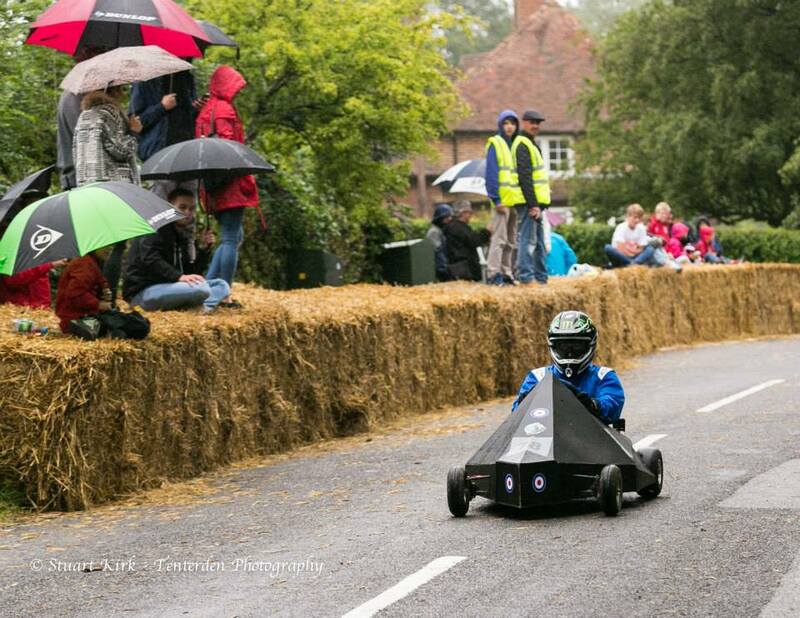 One week prior to the soapbox derby I tied the knot with my now wife, Helen. A week in Disneyland on honeymoon to then return the evening before the derby and although soaking wet, it all went rather well. There was a smaller turnout of spectators but still many flocked to the village of Aldington despite the poor conditions. 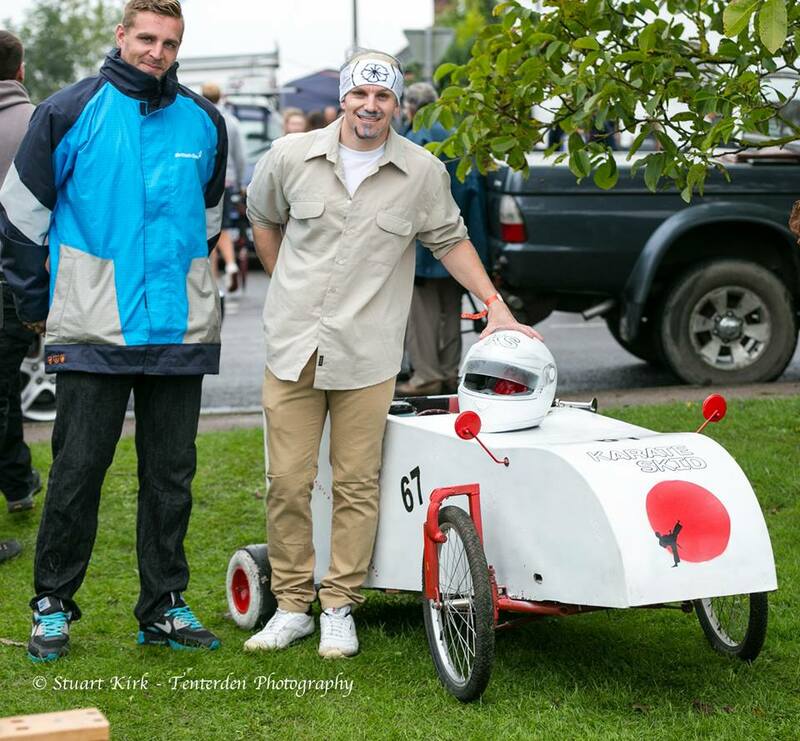 We were pleased to see Asa turn up with our old soapbox ready to be raced again. The rain died down and the racing began with an almost life sized colourful elephant racing down the hill against a scaled down Black Pearl from Pirates of the Caribbean. There was a good mix of both crowd pleasing and fast soapboxes. 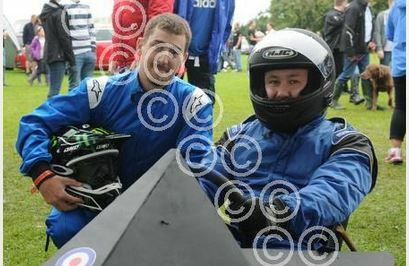 I was to drive in our first race, and with the commentator announcing that my widow was half way down the hill I was off. Gaz push starting me to the best of his abilities on a very slippery track. The run went well, was smooth and managed to avoid any incidents. Gaz would take the wheel for the second run, unfortunately I couldn’t give him as good a push as he had given me which probably cost him a couple of seconds but none the less our combined times put us in 6th place. This put us into the six man knockout to which only four turned up. Gaz again took the wheel much to Helens relief. She’d only just gotten married and didn’t want to lose me yet. 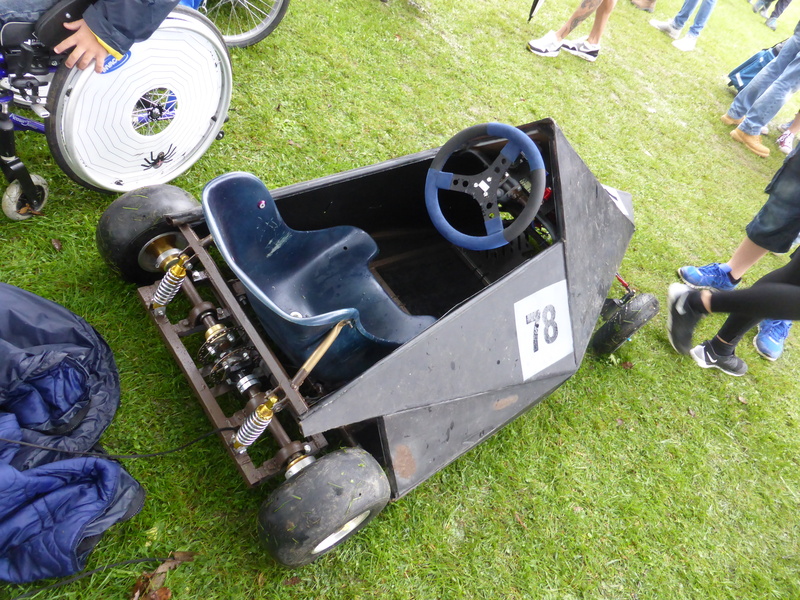 Luckily coming last in this meant we came fourth overall. So despite the weather it wasn’t a bad day at all. We had our photo taken by the Kent messenger who posted a story about the derby on their website.